The CFL commissioner said Friday he’ll be meeting football officials from Germany later this month to discuss the possibility of Canadian and German players suiting up in the respective circuits. He already has taken the CFL into Mexico, but commissioner Randy Ambrosie isn't stopping there. The CFL commissioner said Friday he'll be meeting football officials from Germany later this month to discuss the possibility of Canadian and German players suiting up in the respective circuits. And next month, Ambrosie will fly overseas to talk turkey with French and Austrian federations as well as league personnel in Sweden, Norway, Finland and Denmark in his quest to grow Canadian football globally. "I'm bound and determined to build an opportunity to create ways for more of our players to play the game," said Ambrosie, who is in Montreal for the league's medical meetings. "I think it's going to be more interesting for a high school football athlete to pursue the next level of football if there's more beyond that level than just a shot at the CFL. "I want to create excitement amongst our college, junior and high school kids. Far too many of our college and junior guys when they finish their college or junior eligibility and if they don't make it in the CFL, that's it and I think that's a tragedy for so many guys who love the game." Last Sunday, the CFL held a combine in Mexico City for 50 players from the Liga de Futbol Americano (LFA) and college programs. The following day, 27 players were selected in the first-ever LFA/CFL draft. 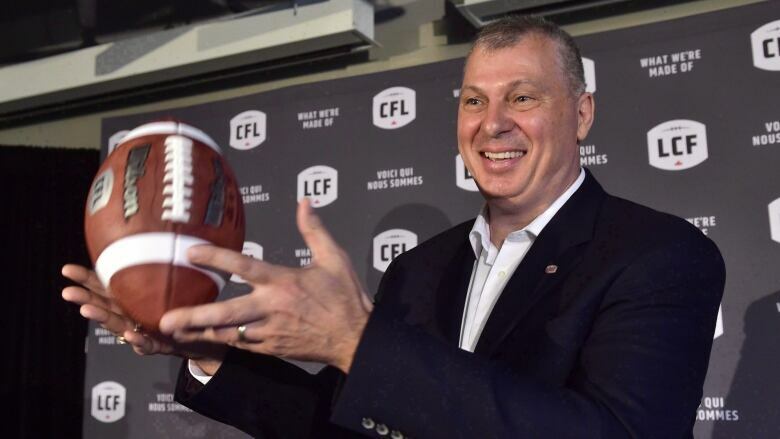 In November, Ambrosie and the LFA signed a letter of intent to work together on several projects, including the staging of a future CFL game in Mexico City. Last week, the CFL was criticized by some media outlets for spending money on staging the combine and drafting Mexican players, but Ambrosie said the LFA covered the vast majority of those expenses. Ambrose added the league paid only for the airfare of its staff and CFL team officials. "If we could replicate that model all around the world, we'd be exceptionally happy," he said. The letter of intent also calls for Canadians to play in the LFA. "I met Tuesday with [LFA president] Oscar Perez and the commissioner of the LFA [Alejandro Jaimes] about that issue," Ambrosie said. "I've now tasked [CFL counsel] Stephen Shamie to put an actual program in place. "They [LFA] have made a commitment to roster spots on their teams. I think for 2020 we're going to see Canadian players given an opportunity to continue their passion for the game and develop their skills."